PNY Technologies (PNY) has introduced Clip Attaché range of USB flash drives. The PNY Clip Attaché drives are available in different designs and colours. The new PNY drives come with a plate design hook with which user can attach pieces of paper together. The drives can also be used for bookmarking and also as a part of wardrobe. The device is pretty light as it weighs just 2.27 grams. 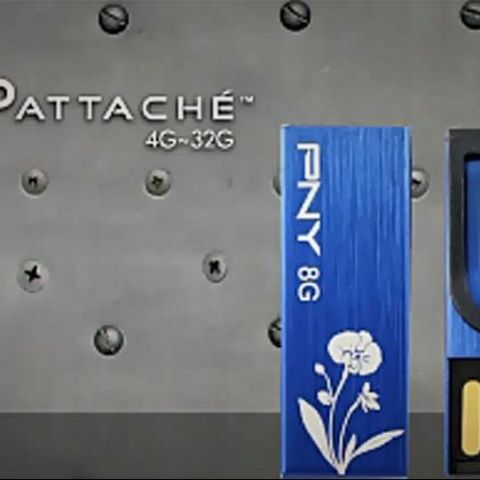 The PNY Clip Attaché orchid blue is available in Indian market for now, and in 4GB (Rs.425), 8GB (Rs. 700), 16GB (Rs. 1,300) and 32GB (Rs. 2,500) storage capacities. The PNY Clip Attaché orchid blue drive offers data transfer rates up to 32MB/sec reads. The drive supports Windows 2000, XP, Vista, Windows 7, Mac Os: 10.3 above and other operating systems and provides up to 5 years of warranty. Do I Really Need to \"Eject\" USB Drives? How use usb flash drive as a ram? Can I connect External Hard Drives to phones that support USB OTG? which camra flash best in smart phone Xenone Flash or LED flash? ?